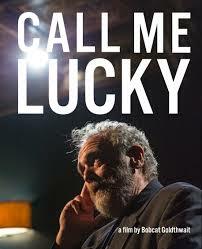 Brief Synopsis – Documentary about the life and influence of comedian Barry Crimmins on the world as both a comic and a political advocate of the rights of the abused. My Take on it – I had never even heard of Barry Crimmins before seeing this movie and was shocked at how influential he was to both the comedic world and to political activists all around the country. His form of political humor was and still is very topical and sometimes feels more like a rant than a joke but they are intelligent jokes that are usually quite funny. The interviews shown here with his friends and family are very eye opening and give us an entrance to a very distinctly funny environment of the Boston comedy scene of the 70’s and 80’s. We are given insight into why some of them turned to comedy as an outlet at early ages even. I think that the main reasons that this film works so well is because of its skillful direction by fellow comedian and friend of Crimmins Bobcat Goldthwaite who gives us a very personal film that dives into some very important and influential subject matter that shaped Crimmins’ life. Bottom Line – Very eye opening documentary that really lets both Crimmins and his friends and family bear all. Tells us so much about how and why he and others around him turned to comedy as an outlet even from a young age. The interviewees give us a real feeling of what it was like to be a part of the comedy scene in Boston during the late 70’s and 80’s. Director Bobcat Goldthwaite gives us a very personal perspective on a variety of important subjects. Highly Recommended!